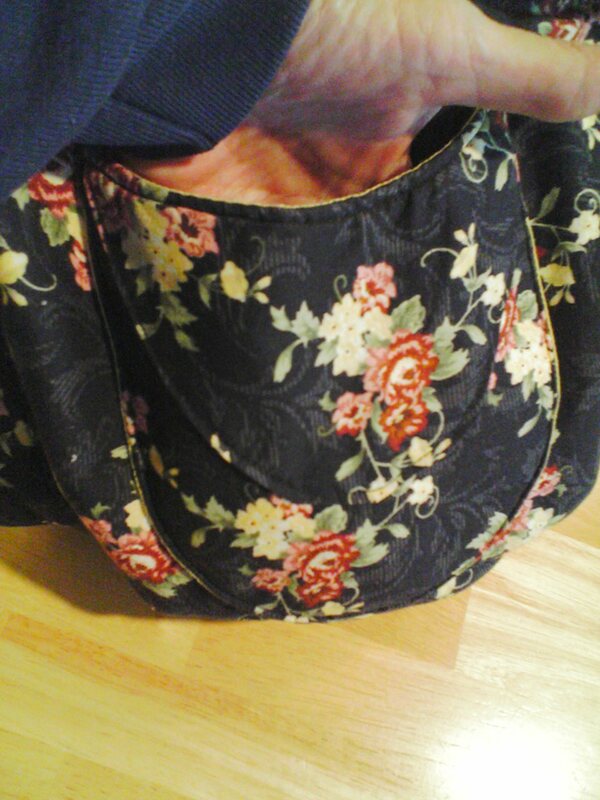 Update 1/01/2009: Scroll to the bottom for pics of NEW purses I have made recently. 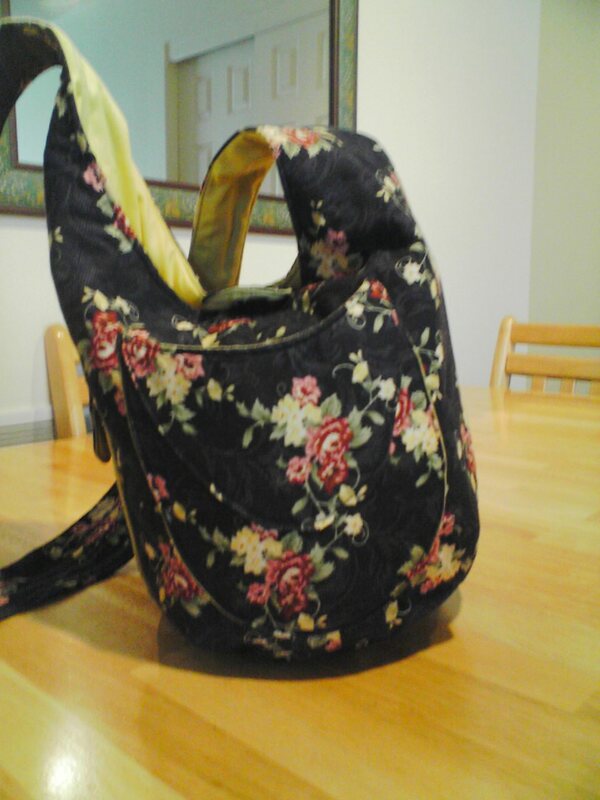 Presently I don’t have any new purses made from this pattern, but Jill wanted to see some purses so I am posting pics of purses that I have made for my own personal use. 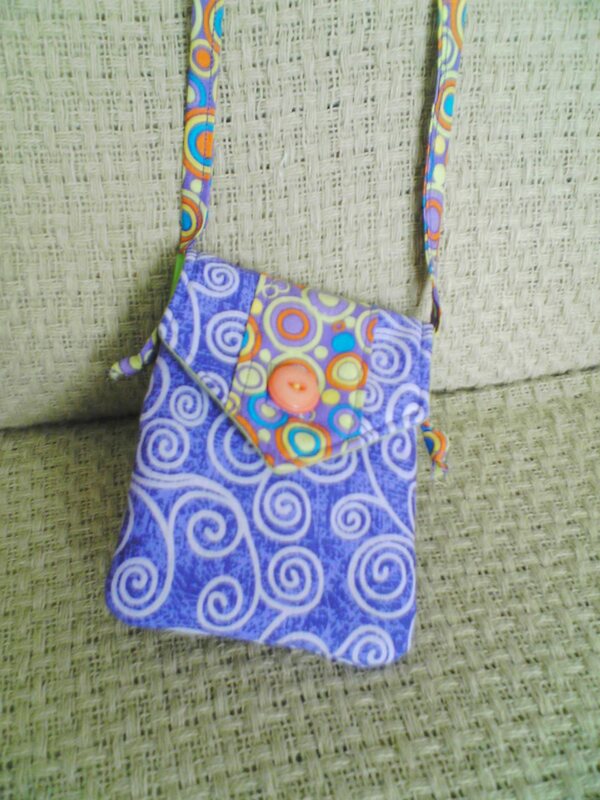 I will be posting pics of new purses as I get them made. 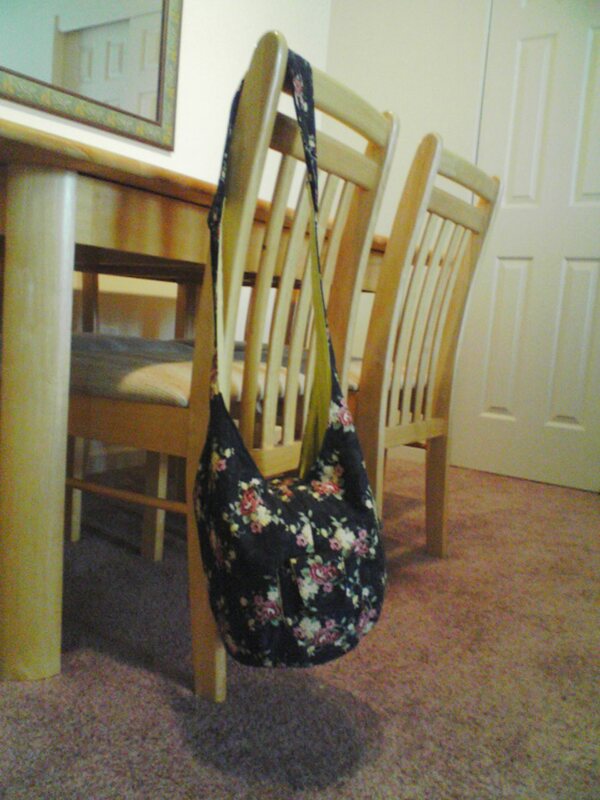 hanging on a chair to show the shoulder strap length. I can make them any length. 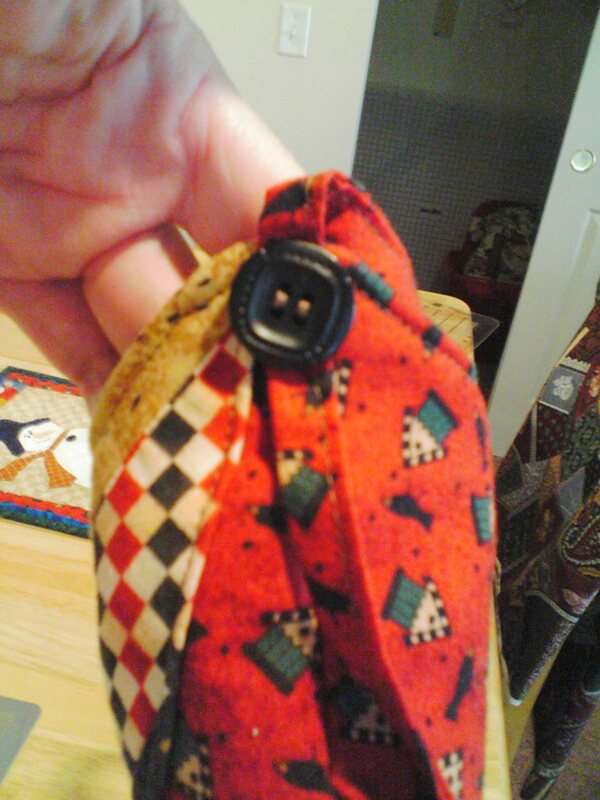 This purse pattern is called Scrappy Sak. 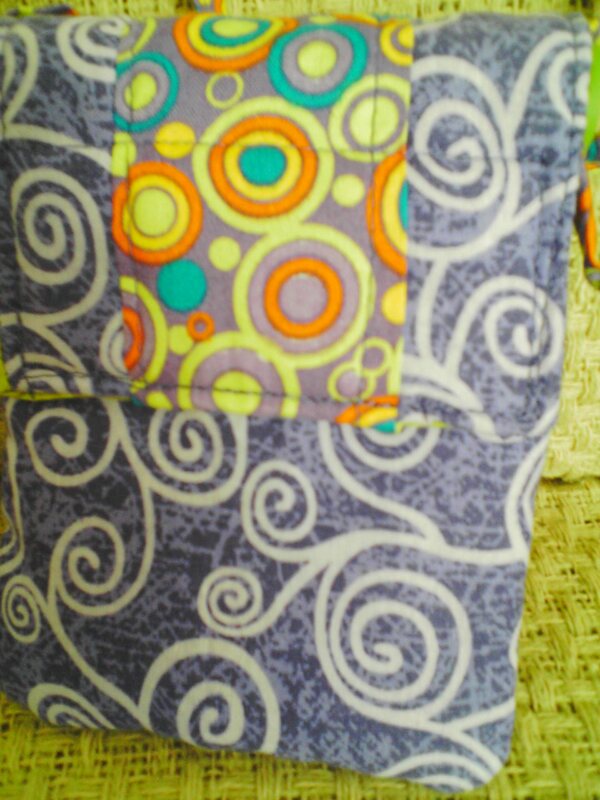 It can be made from any combination of fabrics. 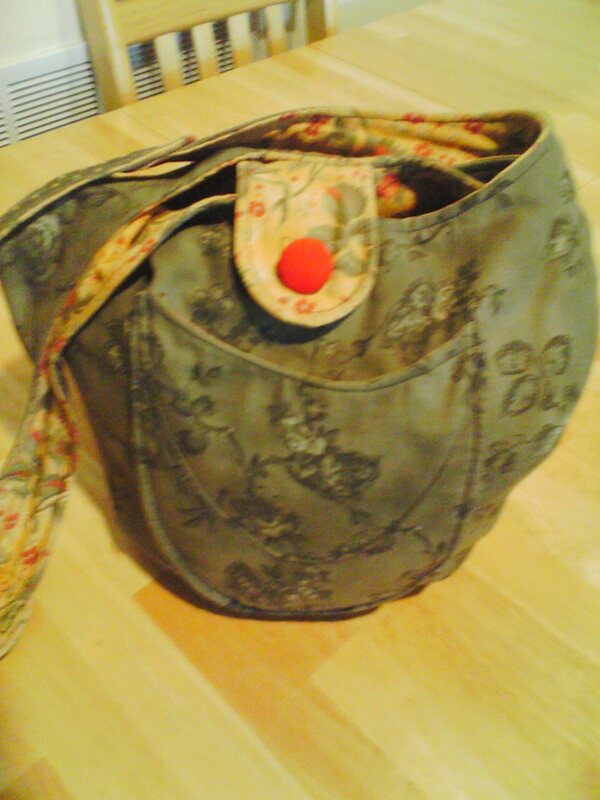 I make my purses from 100% cotton so they can be washed in the washing machine. All fabrics are pre-washed so they won’t shrink any more. The strap length can be short or long. I prefer long personally because I like to shop hands-free. The shoulder length strap is long enough to cross over my body so it doesn’t keep falling off my shoulder like some purses do. I can adjust the length according to the person’s preference, some women prefer the short handle and it is no problem to make it to their specifications. 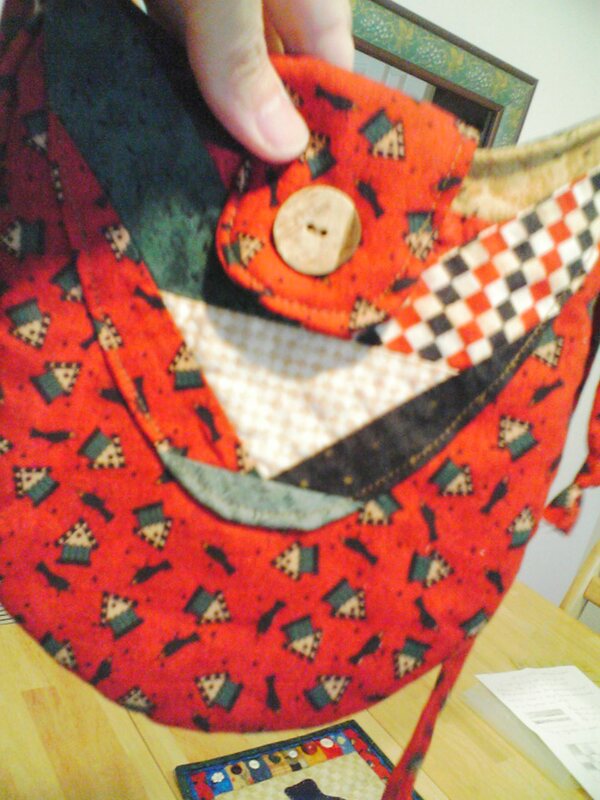 I also make a purse that I designed called Itty Bitty Purse. Here is a pic of one of these tiny guys. I use one of these all the time to hold my drivers license, credit cards, some cash, and my cell phone. If I am running a short errand I grab this instead of a big purse. 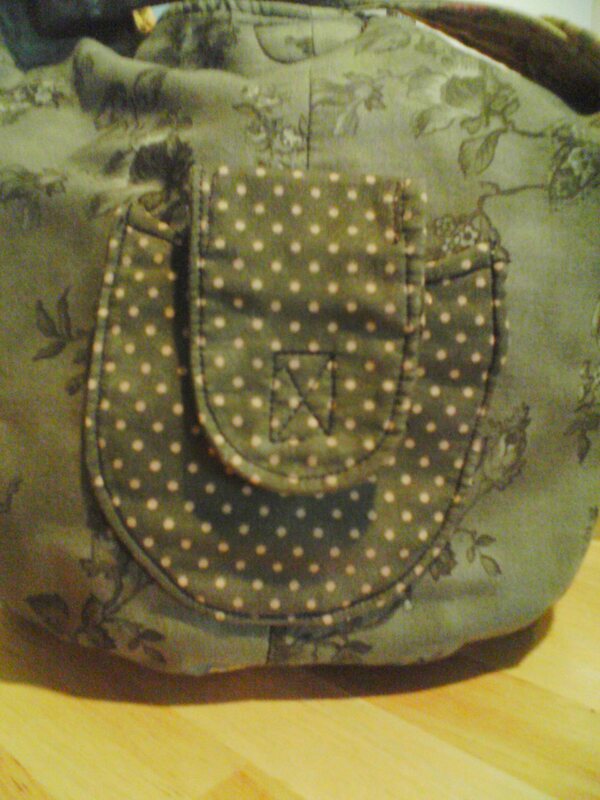 If I am travelling I put the Itty Bitty Purse inside my big purse. 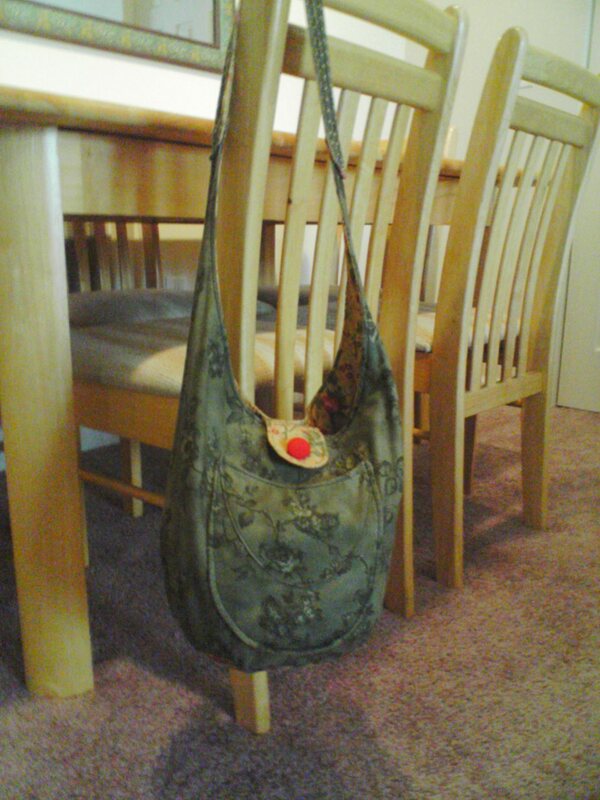 That way I can leave the big purse in the car when I run in for a potty break or to shop somewhere. The strap is long enough to cross over my body so I can shop hands-free. And it is very light weight. I love it. 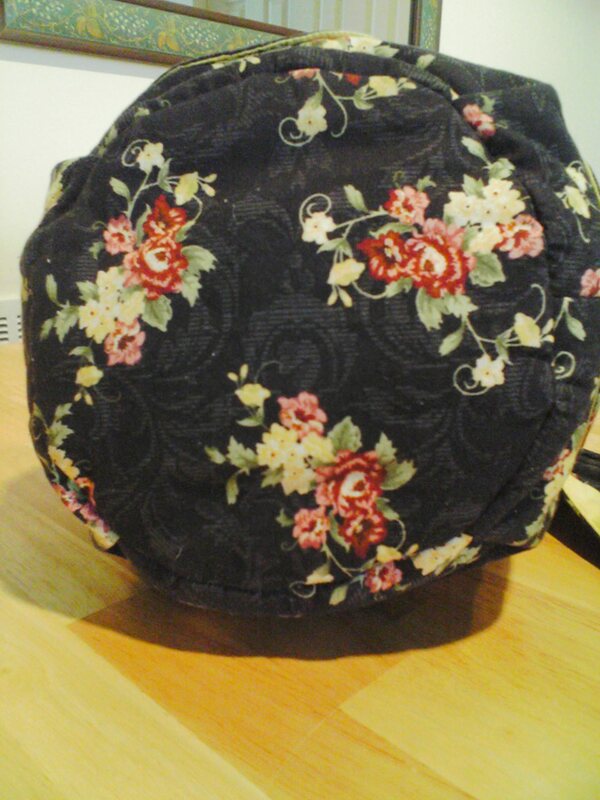 So there are the purses I currently have patterns for. 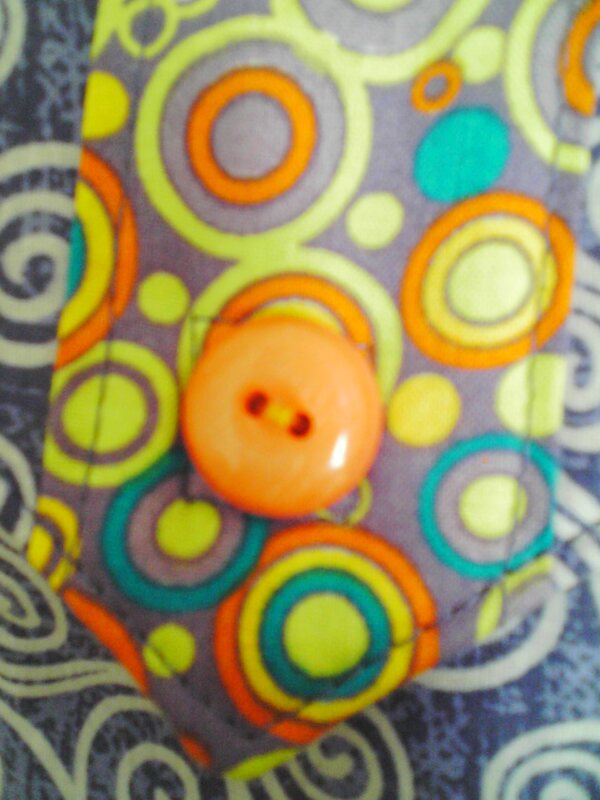 I am open to using different patterns but I don’t do zippers, just so you know. 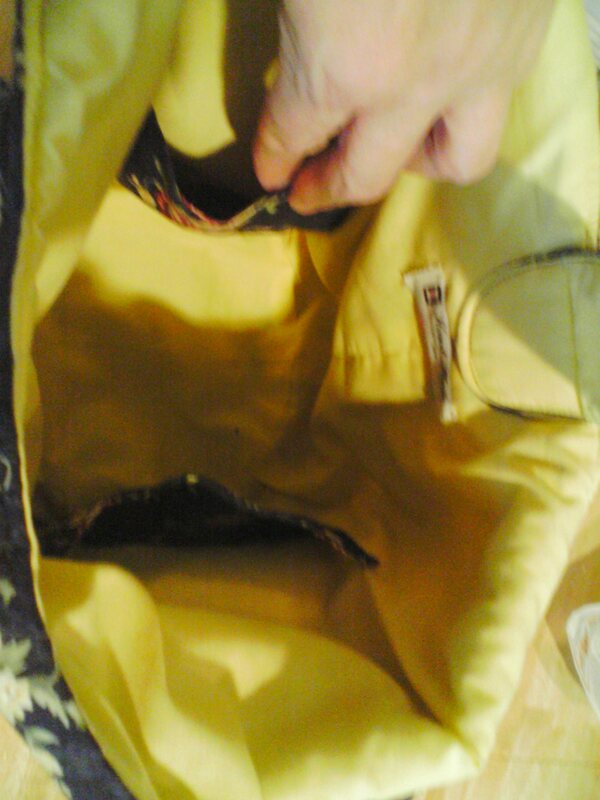 My sewing machine does not have a zipper foot. Besides I don’t like to do zippers. Maybe someday I will advance to zippers, but not yet. For now it’s velcro, snaps, or magnetic closures. You Might Be a Quiltaholic if…..
You might be a “quiltaholic” if…. you see a quilt block in your soup. This is my lunch today. As I was eating, I looked down and saw a familiar quilt block. 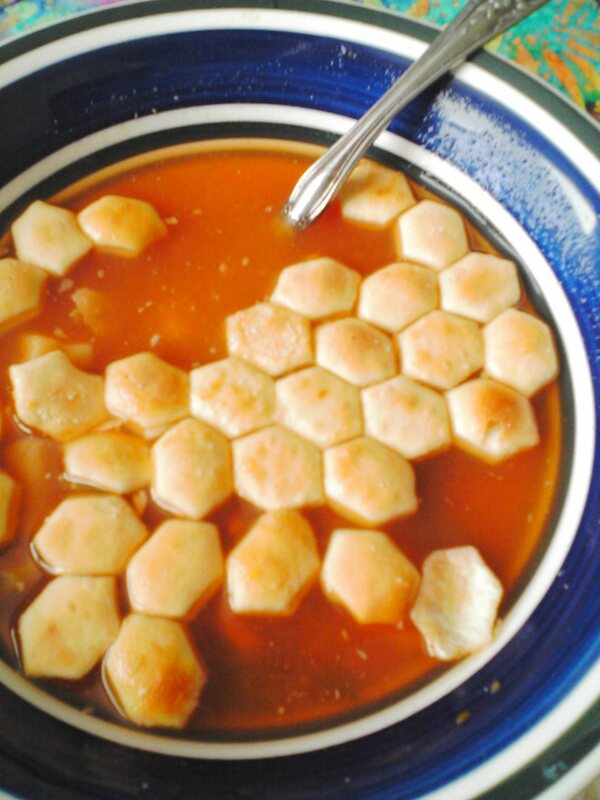 (Hint: the oyster crackers are hexagons) Leave me a comment if you know which block I saw. 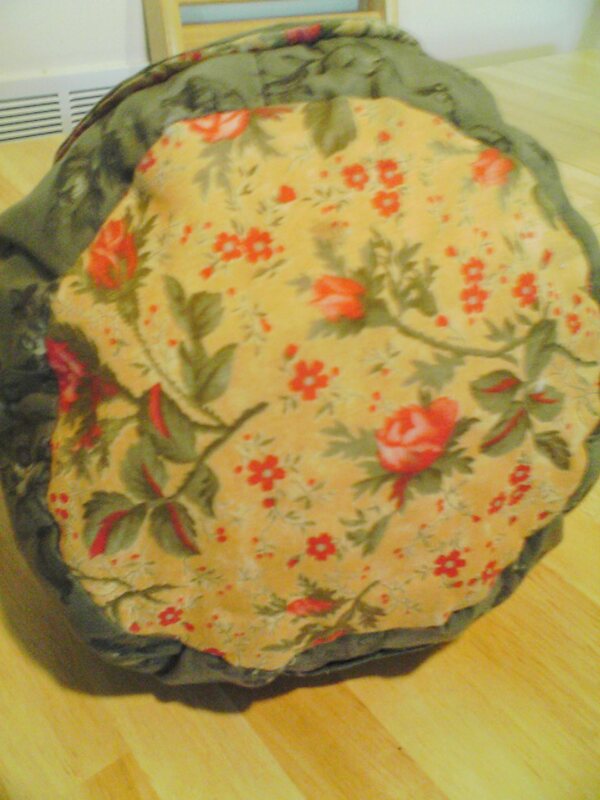 I have been working on so many projects, several purses, a tree skirt, a snowman wallhanging,a fabric basket…. I will be taking pics and posting them soon. Our guild will have a booth at a craft fair called Pride of the Prairie and members can bring items to sell. It is held annually in November the weekend before Thanksgiving. So I am trying to make things for that. 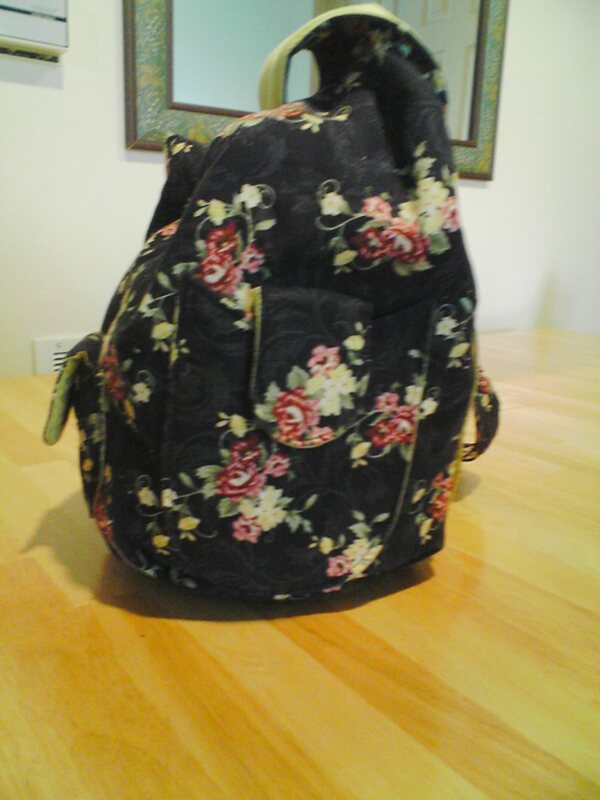 I also have some purses that people have asked me to make so I will be working on those this week.